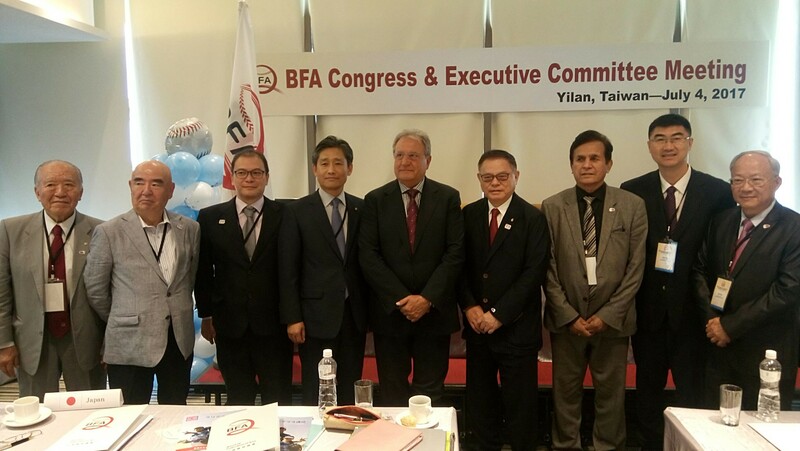 BFA Congress which was held on July 4, 2017 in Yilan, northeastern Taiwan, saw the unanimous election of Tom PENG to President for another four-years by 18 member countries/regions out of total 23. PENG is also 2nd Vice President of World Baseball Softball Confederation (WBSC), which will hold its Extraordinary Congress in Gaborone, Botswana on October 13, 2017. Yoshinobu SUZUKI of Japan, YANG Hae-young of South Korea and CHEN Xu of China were elected as BFA Vice Presidents, and Alan Mak of Hong Kong, Kahwar Sha of Pakistan and Marty Eizmendi of Philippines got elected as Members-at-Large. Thereafter, President PENG appointed LIN Hua-wei of Chinese Taipei as Secretary-General and Kazuhiro TAWA as Senior Advisor both for another 4-years. Guest of Honor, WBSC President Fraccari, congratulated Asian member organizations under strong leadership of President PENG for having achieved several historic milestones which is positively impacting the global spread and evolution of our sport. WBSC President recognized that Asia is taking a leading role in the development of women’s baseball. At the same time, he stressed the importance of the Olympic Solidarity opportunity for fostering development, he reinforced the message that WBSC is available to support and give guidance to this respect. VP Suzuki of BFJ confirmed its plan to host 9th U-15 Asian Championship in Shizuoka, Japan in November 1 - 5, 2017 when a new official rubber baseball with improved performance and safety will come into play. He also reported that BFJ is strongly asking Tokyo 2020 Organizing Committee to adopt round robin format in cooperation with WBSC. Ms. Hiroko Yamada, Secretary General of Women’s Baseball　Federation of Japan as well as a member of Women’s Baseball Development Commission of WBSC, joined the delegation for the first time. In order to prevent delays or denials of visa issuance by host countries to participating teams to BFA tournaments, an amendment to the BFA Tournament Rules and Regulations to minimize such a risk was approved by the Congress. President Andika M.Y. 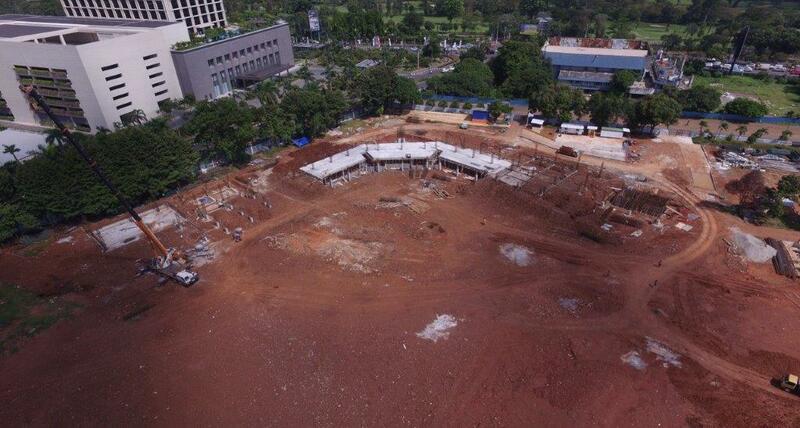 Monoarfa of Indonesia Baseball Softball Federation reported the progress of their solid plan to build a new baseball stadium in time for the upcoming Asian Games in Djakarta and Palembang from August 18 to September 2, 2018. 18 participating member countries/regions to the Congress were as follows: Afghanistan, Cambodia, China, Chinese Taipei, Hong Kong, India, Indonesia, Iran, Iraq, Japan, South Korea, Mongolia, Nepal, Pakistan, Philippines, Singapore, Sri Lanka and Thailand. President YANAGIDA of Nagase Kenko Corporation, supplier of rubber baseball to U-12 and U-15 BFA Championship was also in attendance.